Hydrangea aspera Hot Chocolate is a recently introdued variety with large large lacecap flowers. Around the edge of each flower heads are attarctive pink blossomes, and in the heart blue flowers. These are all held at the end of sturdy brown red twigs. What's more, this Hydrangea looks good enough to eat when it's not in flower, the underside of the leaf is striking burgundy, whilst the top is chocolate brown, fading to deep green later in the season. 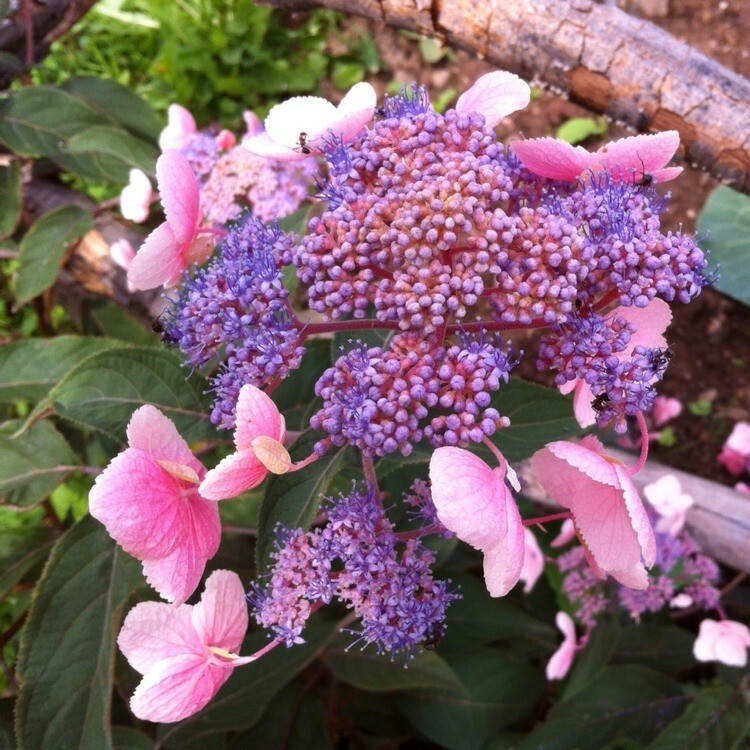 Really unusual, Aspera Hydrangeas are tough and easy to grow and thrive on virtually any soil and position. 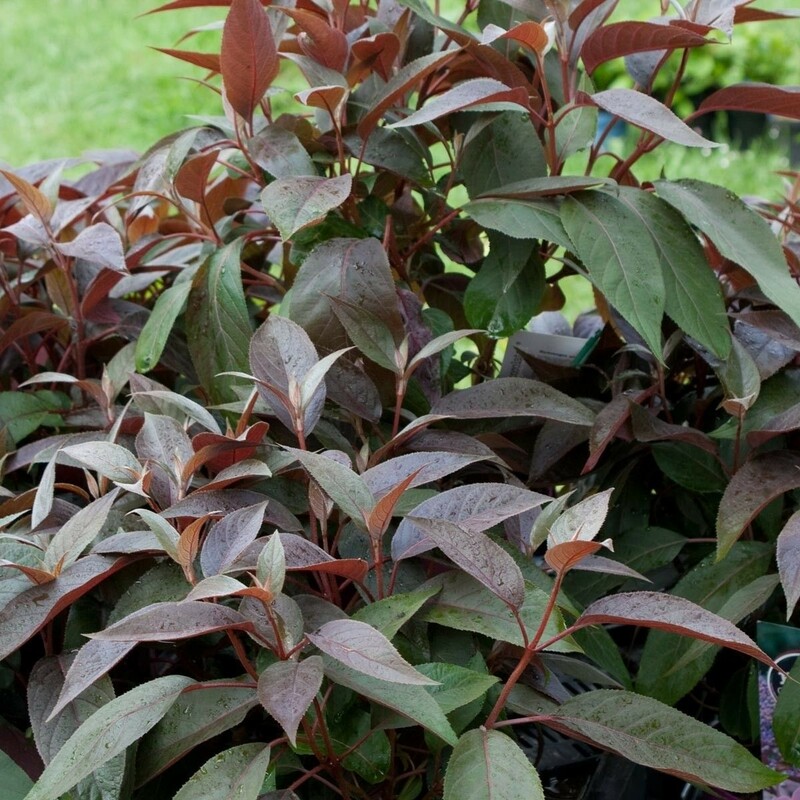 'Hot Chocolate' is a fully hardy shrub that will look great in your garden. Beautiful superb bushy plants, supplied in approx. 5 litre containers.